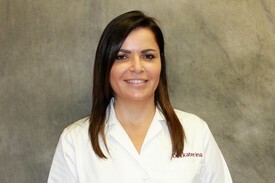 Dr. Ekaterina Mamulashvili (Dr. Eka) is a graduate of a Tufts University School of Dental Medicine. She has been practicing dentistry and serving Boston and nearby communities since 2004. Dr. Eka practices all forms of General, Cosmetic and Implant Dentistry including restorative procedures like fillings, custom crowns, bridges, root canals, dentures and periodontal treatments. Dr. Eka loves being a general and family dentist, where she can work with a wide range of patients, from the young to the young-at-heart. Dr Eka is extremely passionate about dentistry. She is a member of American Dental Association, American Academy of Cosmetic Dentistry, Massachusetts Dental Society and Tufts Dental Alumni Association. Dr. Eka is always further advancing the patient care skills with the most up to date training. She is committed to continuing education for herself as well as for her team. They often travel to various parts of the US to keep up on the latest advancements in dentistry. Dr. Jessika Jahnsen attended Boston University Dental School where she graduated as a General Dentist. She also holds her Doctor in Dental Medicine degree from The National University of Rosario, Argentina. With over 8 years of dental experience in the USA. Dr Jahnsen is passionate in providing high quality dentistry as well as focusing on prevention. 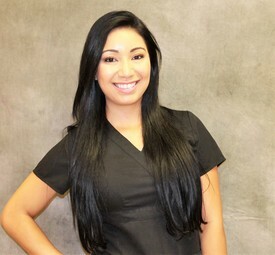 Throughout her career path her passion has been esthetic and cosmetic dentistry and pediatrics. 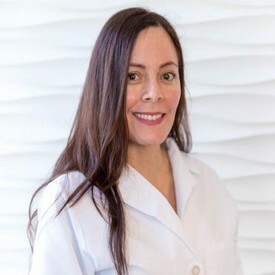 She is an Invisalign certificated dentist with affinity for dental innovation in CAD/CAM technology and CEREC training.. She is a member of the American Dental Association (ADA), Massachusetts Dental Society (MDS) and Hispanic Dental Association. She enjoys working with patients of all ages. She is fluent in English, Spanish, Portuguese and can communicate in French. In her free time, Dr Jahnsen lives in Boston where she likes to spend quality time with her daughter and boyfriend. She enjoys arts, painting and travelling. His international dental experience enables him to relate to patients of all walks of life. He believes that the foundation to achieving good oral health starts with patient education and places emphasis on preventative methods and quality pain- free treatments. He enjoys meeting new people and yearns to provide the best quality dental care for his patients. He is always taking various Continued education courses to deliver the highest level of dental care. In his free time he loves to go for hikes, kayaking and watching movies with his wife. Dr. Dario E. Gonzalez was born in Caracas, Venezuela. During his time in Venezuela, Dr. Gonzalez completed his basic education and became a dentist in 1998. Throughout the years he spent in his country, he was also part of the National Swimming Team, with which he participated in many national and international swimming events. He obtained his dental degree from the Universidad Central de Venezuela, which is currently ranked number one for dental schools in that country. After practicing dentistry in Venezuela for two years, Dr. Gonzalez decided to pursue his specialty training in periodontics and implant surgery. 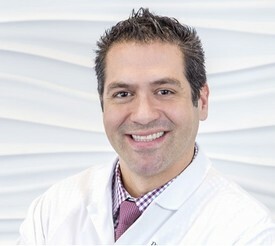 He was admitted into Boston University School of Dental Medicine’s periodontology and oral biology program in 2000. During his three-year residency, Dr. Gonzalez was involved in specialty patient care, as well as research and teaching of pre-doctoral dental students. He also published multiple articles on immunization strategies against periodontal disease. Dr. Gonzalez completed his master’s in periodontology and oral biology in 2003 and immediately joined the public health services run by Boston Medical Center in its network of satellite health centers in Dorchester. After a few years practicing in the greater Boston area, Dr. Gonzalez decided to set roots in Massachusetts and went back to school to obtain his dental degree from a U.S. school. He graduated with honors from Boston University School of dental medicine in 2007 and was awarded the Outstanding Achievement and Excellence in Patient Care and Practice Management award by Dean Spencer Frankl. 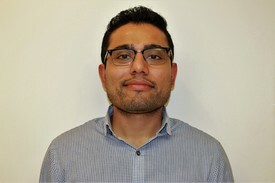 Currently, Dr. Gonzalez is the director of the dental department at Codman Square Health Center, where he supervises a staff of more than 25 employees, including seven dentists. He maintains an associate private practice in Medford and Taunton, is an assistant clinical professor at Boston University, and holds faculty appointments from Tufts University School of Dental Medicine, NYU Lutheran Medical Center, and Boston Medical Center. Kaite is a Registered Dental Hygienist that joined our team over three years ago. With a background in dental assisting, she is able to explain many dental procedures to her patients and put them at ease prior to treatment. Kaite has never met a stranger! Building long-term bonds with her patients is one of the most rewarding aspects of her job. This is easy to do with her very gentle touch and calm, soothing demeanor. She is committed to giving each patient the best dental care possible. You may spot Kaite around the city as a professional dog walker on her off days - If you ask she'll surely show you pictures of the pups. Camila took interest in dentistry at an early age and has excelled at it. 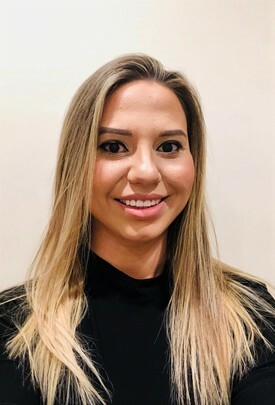 Helping others to achieve a healthy and beautiful smile is more than just a job for her but a passion .Camila enjoys dentistry so much that she is currently furthering her education so she can become a certified dental hygienist. Camila spends her free time working out or with her loved ones , she also enjoys the outdoors . Melissa is a native of Boston. She graduated from Boston Latin Academy and attend Boston University School Dental Assistant Program. 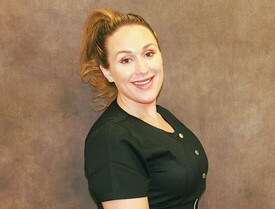 She is very knowledgeable of dental insurance, presenting treatment plans to patients and to help the patient better understand the dental procedures and their costs. Melissa has continued to expand her dental knowledge each year by attending professional development courses. 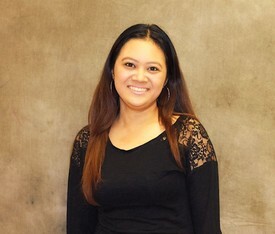 In her spare time, she enjoys reading, cooking, and spending time with her children.